I’ve been knitting away at this lately.. The second picture is a more accurate representation of the colour. It’s a scroll lace scarf by Ysolda Teague, the second one I’ve knitted. 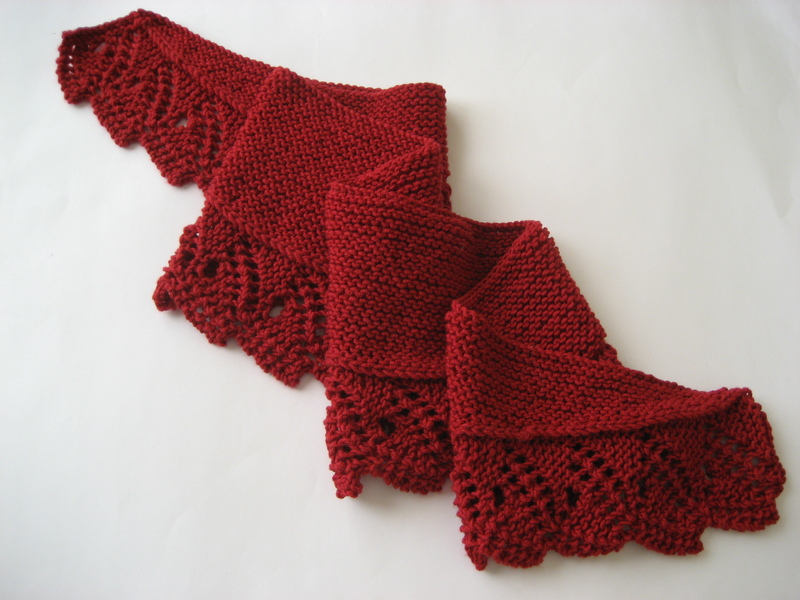 It just so happens that it is my favourite scarf pattern and I need a red scarf. I deviated from the pattern slightly to knit the body of the scarf in garter stitch instead of stocking stitch to prevent roll and further add to the squooshiness of the yarn. I also omitted the picot edge cast off because I wanted a clean line and didn’t feel it went with the garter stitch. 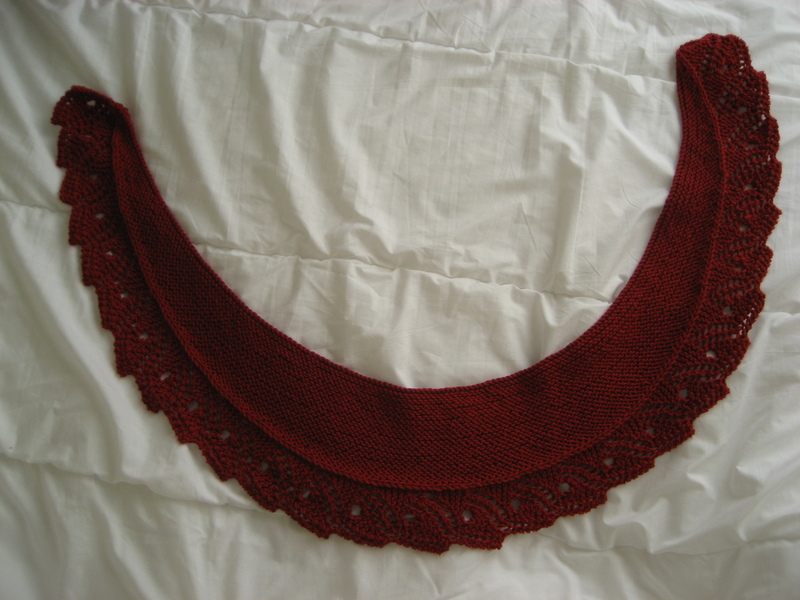 The lace section is incredibly easy to memorize I even knit it whilst watching TV with no mishaps, unheard of! I love how it has a fancy shawl-like edge and the length of a scarf. In fact I love this pattern so much that while I was knitting it I was thinking about knitting it in other colours, a grey one and a duck egg blue one to be precise and in other fibres like pure cashmere and an angora one (Orkney St Magnus DK angora) oh and the Fyberspates scrumptious DK would be perfect too, yum. This version was knit in Adorn silky merino 8ply which is the in house yarn of the Woolbaa it is incredibly soft as you would expect and squooshy, my only weird little nark is that it is a machine washable yarn and therefore I couldn’t felt join it so I used Russian join instead which I’m not sure if I trust and there are little ends which keep on poking out. As I said, I’m a bit weird as I’m guessing the idea of machine washable wool would appeal to a lot of people, just not me. I think it would be a great yarn for knitting up gifts though if you were unsure as to the recipient being able to care for woollen items properly and felting all your hard work.